The hit draught is over, and Mammootty, the megastar of Mollywood is now enjoying the success of his latest movie 'Madhura Raja' directed by Vyshakh. 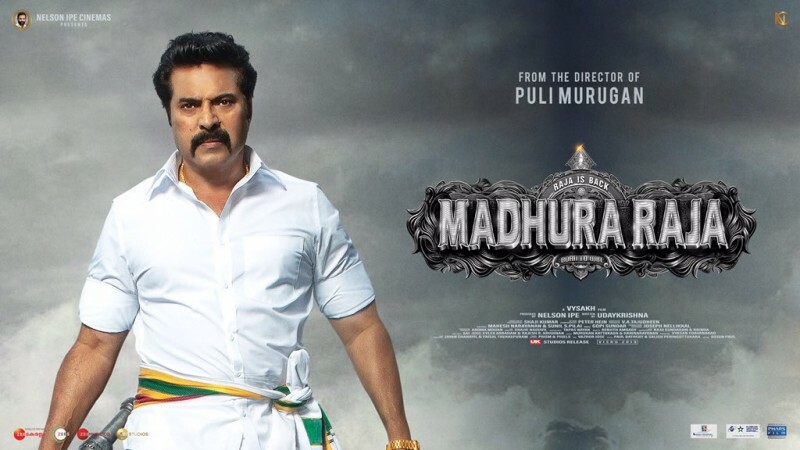 Even though the film received mixed reviews from critics, 'Madhura Raja' is spinning a decent sum of money from the box-office, and as per latest updates, it has racked up more than Rs 14 crore after the end of its 4-day theatrical run. Trade experts predict that 'Madhura Raja' is going to emerge as the biggest hit in the career of Mammootty. Just like 'Pulimurugan', family audiences have started embracing the movie, and it indicates that the film is going to enjoy a long run in Kerala screens. In its opening day, 'Madhura Raja' collected Rs 4.2 crore from the Kerala box-office, and the worldwide collection was a whopping Rs 9.1 crore. At the end of the opening weekend, the film racked up Rs 11 crore from Kerala alone. Even though makers have not revealed the exact collection figures of the movie, trade analysts believe that the film might have collected somewhere around Rs 24 crore worldwide in its opening weekend. Even in the midst of these positive factors, 'Madhura Raja' is facing a huge threat from 'Lucifer' at the Kerala box-office. 'Lucifer', even after three weeks of its release is drawing more audience than 'Madhura Raja', and current booking status indicates that the trend is going to stay intact in the coming days too. 'Madhura Raja' features Mammootty in the role of Raja, a funny goon who hails from Madhura. Even though he is a goon, he has the heart of gold, and he is determined to demolish evil forces from society. Apart from Mammootty, the film also stars Anusree, Salim Kumar, Jagapathi Babu, Aju Varghese, Mahima Nambiar, Shamna Kasim, Narain, Vijayaraghavan, and Nedumudi Venu in other prominent roles. 'Madhura Raja' is produced by Nelson Ipe under the banner of Nelson Ipe Cinemas.